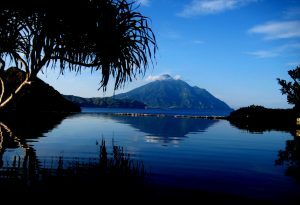 BATAN ISLAND – is the most populated island of the province. 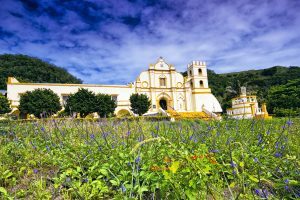 It is composed of four municipalities namely Ivana, Mahatao, Uyugan and the capital, Basco, which is the seat of commerce, education and provincial government. Day tours offer visitors the chance to enjoy nature at its finest without the trappings of commercialization, noise and pollution. 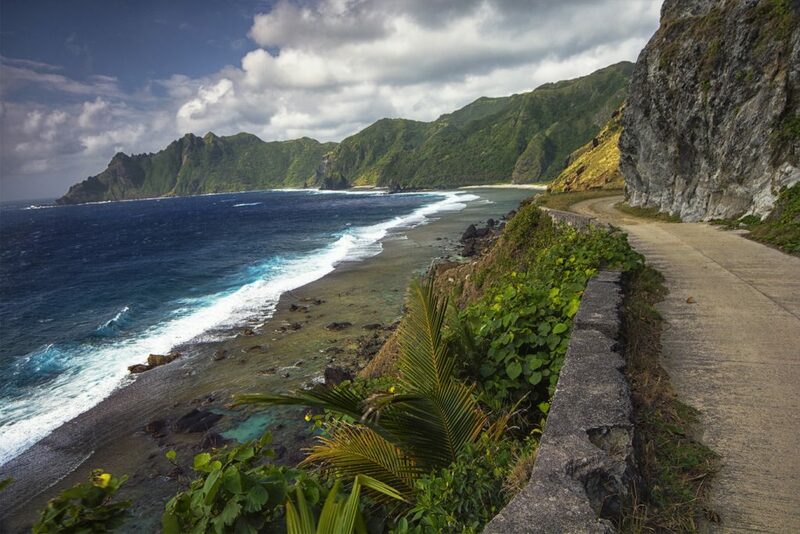 SABTANG ISLAND – is a 30-minute rocky ride from Ivana Seaport on a round-bottomed falowa, fourteen-kilometers southwest of Batan Island. It has intermittent sand beaches and is dominated with steep mountains and deep canyons with small level areas sporadically found along the coastline. 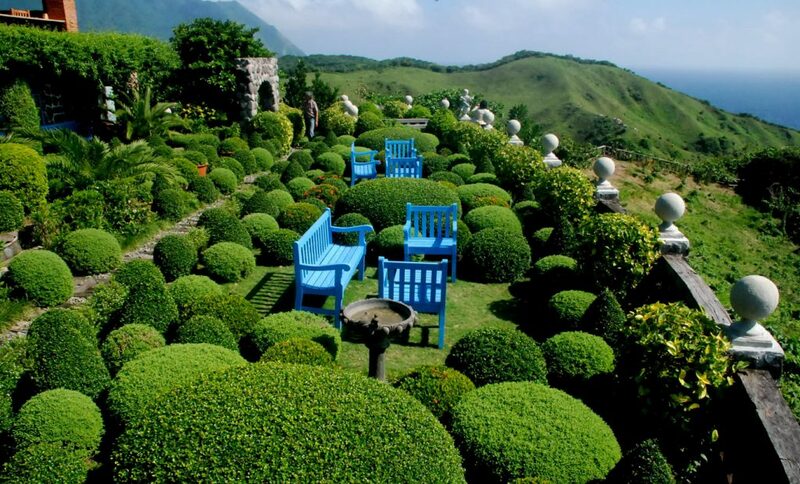 It is one of the most beautiful islands in Batanes. 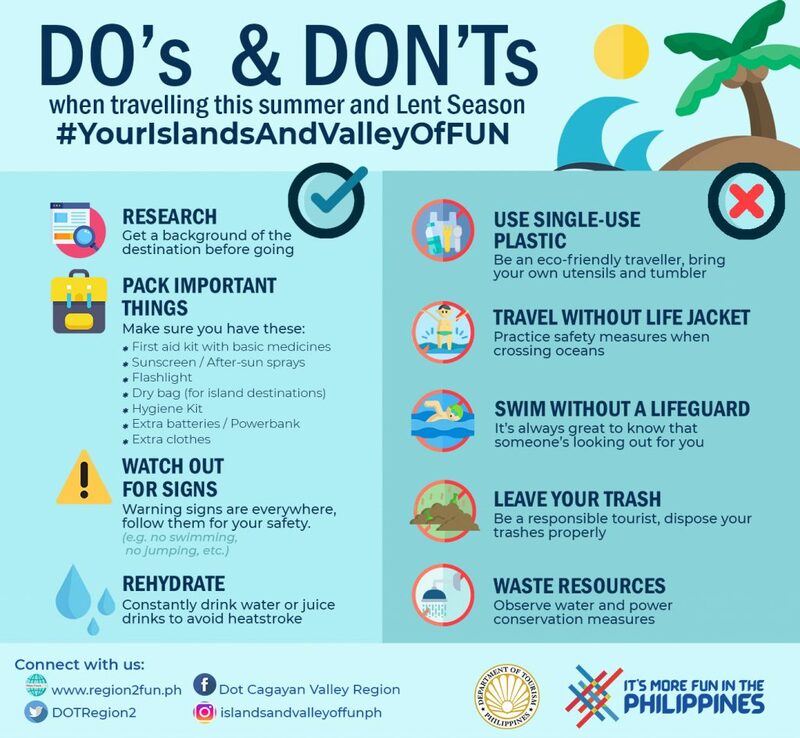 Visit Chavayan and witness the rolling of the seven waves: Sumnanga or the Little Hongkong; Nakanmuan, the fishing Village; watch the “Kuyab” or Migratory Birds from China that flock by the hundreds during the month of October. ITBAYAT ISLAND – has the Sarokan Cave, the orchids that abound in the island to discover and the burial caves to see. It is three hours away by Falowa from Basco Seaport. The island is surrounded by massive boulders and cliffs rising from 20-70 meters above sea level. Shaped like a giant bowl; it is the least visited and inhabited island of the province. It has no beach and no pier. 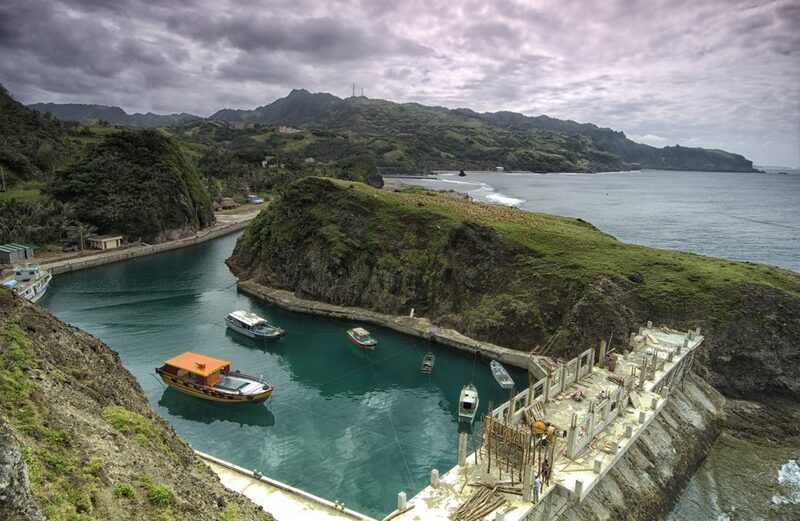 It has a newly cemented runway for light aircrafts from Batan Island and a regular ferry runs the Batan-Itbayat route. Y’AMI/MAVUDIS ISLAND – is the northernmost island of Batanes where one can see Taiwan on a clear day. “Tatus” or coconut crabs abound in the island, which is surrounded by rich marine life. 01. MT. IRAYA is a dormant volcano standing at 1,517 meters above sea level. It is good for mountain climbing and trail blazing and is a few kilometers from Basco. Its last eruption was in 505 AD and has become the source of fertile soil in Basco and parts of Mahatao. 02. RADAR TUKON is an abandoned United States weather station located on a hilltop and is only 2.75 kilometers away from Basco. 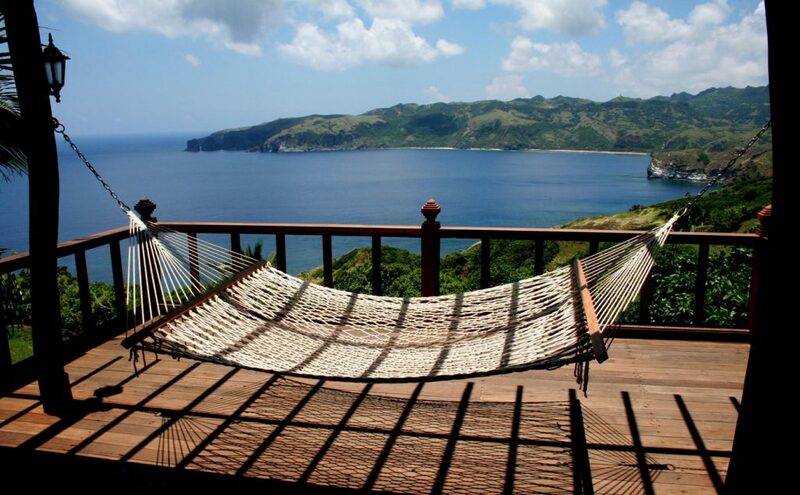 It offers a magnificent 360-degree view of Batan Island, the South China Sea, Mt. Iraya and Basco proper on one side and boulder lined cliffs and the Pacific Ocean on the other side. At present it houses the Basco Radar Station. 03. BASCO PORT at Baluarte Bay in Basco is the port of call of cargo ships bringing goods from Manila and other boats plying the shores of Babuyan and Balintang Channels. 04. CHADPIDAN BAY is an hour of exhilarating trek from Basco proper and offers a beautiful sunset view of Batanes. 05. STO DOMINGO CHURCH/IMMACULATE CONCEPTION CATHEDRAL was built in 1812 under the supervision of the Dominican friars. It is one of the first limestone buildings to be built under the Spanish regime. The convent beside the church was built in 1814. Buildings in Batanes are traditionally two storey LIME AND STONE HOUSES AND CHURCHES with meter-thick cogon roofs believe to last about 60 years. These buildings were built around 1795 with the help of imported masons, stone cutters and carpenters from Cagayan. 06. NAIDI HILLS is walking distance from Basco proper offering a good sunset view and the most accessible lighthouse in the island for late afternoon and early evening trips and al fresco dining. The restaurant by the hill offer visitors relaxing meals and coffee and a souvenir shop a short walk from the lighthouse. 07. VALUGAN BAY has a kilometer long stretch of beach with multi-colored rocks and is only three kilometers from Basco proper. It has a good view of the calming sea while the stones and rocks offer visitors to spend the hours away as they play. 08. 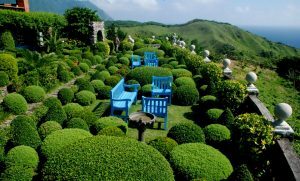 PACITA ABAD MUSEUM/FUNDACION PACITA BATANES NATURE LODGE – home of the paintings of the world renowned artist PacitaBarsana Abad is now open for public viewing. It is an Economy Hotel with de luxe facilities located at Brgy. Chanarian-Tukon. 09. JAPANESE TUNNEL – located in the hills of Tukon, this five-door tunnel, complete with a series of chambers, a bunker that served as a lookout spot and a water reservoir, was constructed during the Japanese occupation as a shelter house for soldiers. Descending the steps to the underground level in almost complete darkness is a thrill that should not be missed. 01. 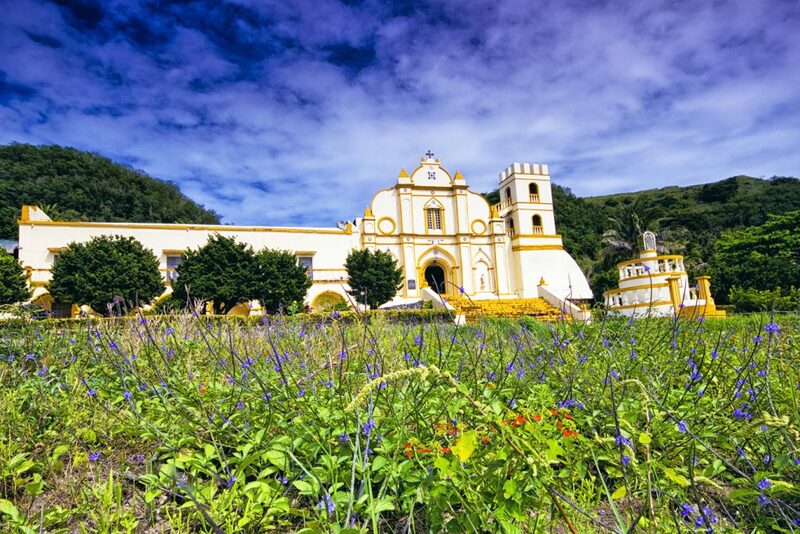 SAN CARLOS BORROMEO CHURCH was completed in 1789 and still retains its centuries old features. It has been declared by the National Historical Institute as Heritage Site and is one of the region’s National Cultural Treasure. Visitors are invited to write their messages and prayers at the Batanes Blank Book Archive located at the church convent. 02. CHAWA CAVE is for the adventurous. An enchanted cave with natural salt beds whose mouth opens to the South China Sea and is accessible through the boulders of Chawa Point. It is four kilometers from Basco. 03. 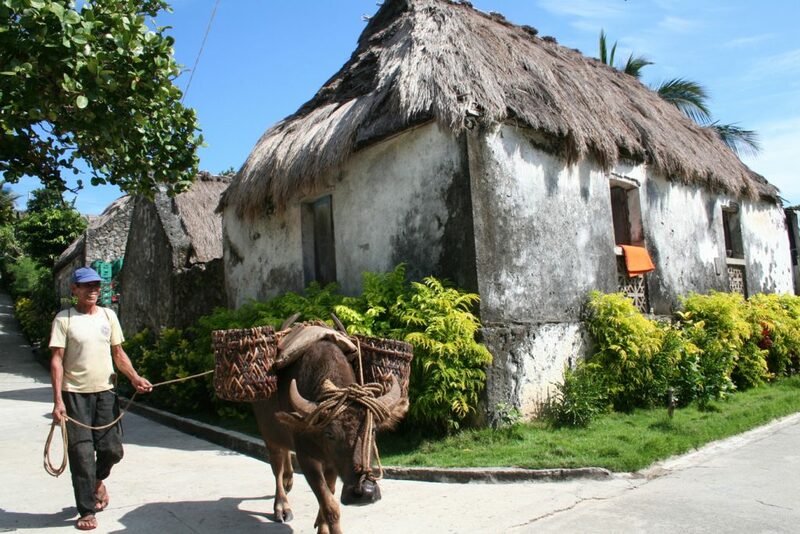 SITIO DIURA AT RACUH-A-IDI is a Fishermen’s Village in Mahatao located along the Mananoy bay. Within the area is the legendary spring of youth and crystal cave with living limestone formations and RACUH-A-IDI old settlements. 04. DIATAY BEACH is a cave with multi-colored rocks and white sand located along the highway of Mahatao conducive for swimming and excursions. 05. COMMUNAL PASTURE LAND is 25 minutes on good road from Basco. 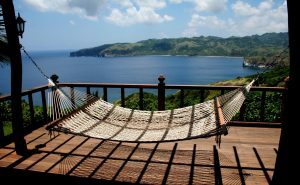 Also called RACUH A PAYAMAN, it offers a panoramic view of the hills and the sea; in this area, the cows outnumber the people. 06. WIND TURBINE FARM SYSTEM – installed at Mt. Sumhao in Mahatao was launched on August 7, 2004. It is the first commercially operated hybrid system in the Philippines. The three units of 60-kilowatt wind turbines complement the diesel generator system that Batan Island is using. 01. RADIWAN SEAPORT are historical spots where the Katipuneros landed in 1898. It is also the ferry station of falowas plying the islands of Sabtang and Itbayat. 02. SAN JOSE CHURCH was built in 1814. One can climb and explore its crenellated fortress-like campanile. The church faces the Ivana Seaport and Honesty Shop. 03. HONESTY COFFEE SHOP is open for buyers who get their goods and leave their money on a wooden box. The shop allows visitors to make their own coffee and indulge in snacks and other goods on sale. 03. MT. MATAREM is an extinct volcano 495 meters at its summit. 04. WHITE BEACH at Vatang, Hapnit and Mavatuy Points. 05. HOUSE OF DAKAY is one of the oldest houses in Ivana open to visitors who sign the guest book and give donations and take pictures with the homeowner Lola Florestida. 01. RUINS OF SONGSONG is a ghost barangay, which features a cluster of roofless shells of old houses abandoned after the tidal wave that hit the island of Batan in the 50’s and is a one hour road trip from Basco. It has a good stretch of beach recommended for swimming. 02. OLD LORAN STATION used to house an old US Coast Guard detachment for almost two decades and is only 45 minutes from Basco on good roads. The place is now being renovated to preserve its old glory and will be a future branch of National Museum.